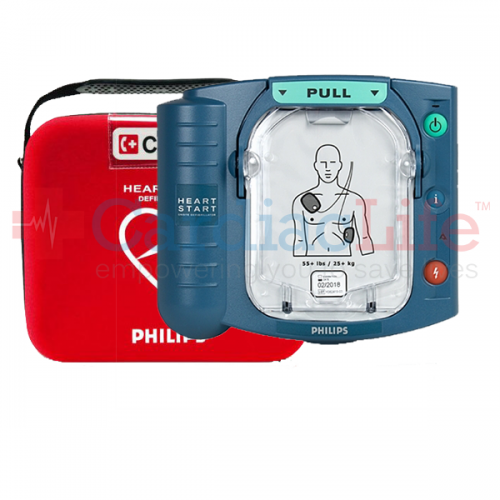 OnSite Heartstart Defibrillators give you peace of mind and are an excellent public access defibrillator for delivering shock treatment to a Sudden Cardiac Arrest (SCA) victim. 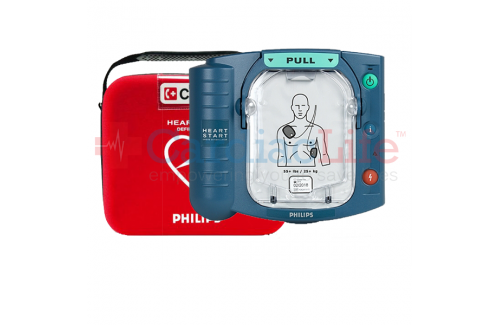 Electrode and battery come already installed and CPR coaching is available during the rescue. This on-demand system turns on with the push of a button and offers step-by-step rescue guidance.